Mumbrella MSIX is over for another year. 2018 saw a fascinating day filled with key ideas, insights and just a little bit of controversy around the intriguing world of marketing science. Delegates heard from worldwide leadersspeak on topics surrounding behavioural economics, advertising pre-testing and new approaches like blockchain, AI and computer learning. Key speaker highlights were Ted Horton on priming people with your brand, Wiemer Snijders presenting findings from his book Eat Your Greens, and Professor Rachel Kennedy from Ehrenberg-Bass Institute on the science of advertising pre-testing. The conference has become an essential learning and networking event that will equip any marketer with the skills needed to make data-driven decisions, better understand consumer behaviour and drive business results with marketing science. Ted has been involved in the neuro-testing of advertising for over 20 years. In this power packed 10 minutes Ted will take us through some of the most effective techniques neuro-science has taught him. Brent woke up one day to find his “Freedom to Surf” study had gone viral. Since then, he has been researching why ideas spread, and what causes people to share. In this presentation Brent will share what he has learned, the science behind why things go viral, and how to create messages that people can’t resist sharing. Topics covered include the myth of controversy, how to use emotions the right way, the psychology of word-of-mouth, and how to grab and keep attention. Wiemer frequently speaks and writes about marketing science and buyer behaviour. He graduated (with honours) from both University and the Academy of Arts. He is a partner at The Commercial Works where he offers research and advisory services centred on using the fundamentals of buyer behaviour to make marketing more effective – and simpler. He works with clients in direct and indirect channel consumer goods and services in a variety of countries. Professor Kennedy is a founder of the Ehrenberg-Bass Institute for Marketing Science, which discovers and disseminates knowledge on how brands grow. Rachel was recently acknowledged as one of “Advertising’s Big Thinkers” by the Advertising Association (UK); she ranks globally in the top 1% of advertising researchers; has been awarded a number of prestigious awards (e.g. Incorporated Society of British Advertisers for paper which best increases understanding of the way in which advertising works); is a speaker on the global stage (e.g. Cannes Lions, ARF and WARC events) and regularly advises the world’s biggest advertisers. Rachel’s role as Director (Product Development) sees her overseeing the translation of the Institute’s R&D into products and services to help industry be evidence-based. As a young researcher Rachel ran advertising pre-testing projects. Since then she has moved to testing the validity of advertising measures especially competing pre-testing measures/approaches including biometrics. She loves a good debate so is looking forward to MSIX! There are so many legacy metrics in the consideration of ad effectiveness, particularly in the pre-testing space. Despite this, the application of technology now offers us the ability to dig deeper and more objectively to better understand what makes an ad a success. One critical component is often overlooked – branding quality. This session will use technology as the base to consider how branding quality, and other variables have an impact on attention and will cover the theoretical implications for brand growth. The talk will conclude with a series of suggestions for marketers and creatives, based from the latest insights science and technology have to offer. Arron uses insight from neuromarketing (neuroscience, behavioural economics and psychology) to guide branding and market strategies. Without this insight Arron believes that marketers are swinging away at a piñata with a blindfold on. Sure, the piñata will eventually get hit but there is a lot of swinging and missing along the way! Arron has worked on multiple award-winning and breakthrough campaigns, notably ‘The Random Adventures of Brandon Generator’ and Airtasker’s “Like A Boss”. He is an internationally awarded marketer and has received individual accolades as a marketer: Marketing Society Young Marketer of the Year Finalist, Marketing Week Rising Star finalist, Next Generation: Power 100 and is a Marketing Academy alumni. Dr. Karen Nelson-Field is a Professor of Media Innovation at The University of Adelaide, and Founder and Executive Director at Centre for Amplified Intelligence. Karen is a globally acclaimed researcher in media science, is a regular speaker on the major circuits and has secured research funding from some of the world’s largest advertisers. Her work has been noted in The New York Times, Bloomberg Business, CNBC, Forbes, Fox Business, Wall Street National and Huffington Post, and she is a regular media writer for the Australian Financial Review. Her current commercial work focuses around the concept of intelligence amplification where human intelligence is amplified with technology; specifically, where leading-edge AI removes bias from research design. The devastating impact of mass tourism isn’t a new problem, but it is a rapidly growing one which many countries around the world are trying (and failing) to solve. How could Palau, a tiny Pacific Island nation of just 20,000 people, possibly hope to tackle an issue of this scale when tourists outnumber locals eight to one. Without the resources or infrastructure to police behaviour on an individual basis, could they get tourists to change their mindset altogether and start to police themselves? Seamus Higgins, Executive Creative Director, and Laura Aldington, CEO, of Host/Havas, the agency behind the triple Cannes Lion Grand Prix and D&AD Black Pencil winning ‘Palau Pledge’ project share the story behind the initiative which is setting an example to the rest of the world on sustainable tourism. Laura is the CEO of Host/Havas. She originally joined Host in 2006 as the Head of Account Management after roles in both Australia and the UK. Between late 2010 and early 2013, Laura re-located to New York where she was a board member at Anomaly NYC, named by Fast Company as one of the fifty most innovative companies in the world. She returned to Host as Managing Director, and became the agency’s CEO before taking the helm of a new venture which brought together Host with Havas Sydney to create one of Australia’s largest and most progressive agencies. Over close to twenty years, she has worked with some of the world’s most famous brands resulting in a significant body of creatively and strategically awarded work. She was recently recognised in Campaign Asia’s 40 under 40 list (just in time) and is currently a board member of The Communication Council. With over nineteen years experience across three continents, Seamus is currently R/GA’s Chief Creative Officer for APAC. Prior to joining R/GA, as ECD at Havas, then Host/Havas, Seamus helped drive a creative resurgence that saw them win Agency of the Year at the 2018 Australian AWARD Awards and Spikes Asia, as well as ranked No.1 in Australia, and No.7 globally in the Cannes Lions 2018 Global Creativity Report. Along the way he’s created and lead campaigns that won nearly every major award, most notably, ten D&AD pencils, including two black pencils, three Cannes Lions Grand Prix, including Titanium, and two Grand Clios. This includes leading the Australian Defence Force Recruiting account through a period of huge digital transformation, winning a long-term Grand Effie in 2018. Seamus was recently included in AdAge’s 2018 Creative All-stars list, and has spoken at numerous local and international events, including Mumbrella mSix and New York Advertising Week. He has also judged at multiple award shows, and is honoured to be sitting on the Creativity for Good jury at D&AD 2019. Seamus believes that through technology, there has never been a more exciting time to invent new ways to connect with people. As an industry our powers have never been greater. And with that power comes the responsibility to shape a better, more human world. In this wide-ranging Q&A, co-creator and executive producer of The Block, Julian Cress, will discuss the success of the show over the past 16 years whilst also exploring the ways in which it has changed the Australian renovation market. Now moving into production of its 15th season, The Block’s cultural clout has had an undeniable impact of the nation’s psyche, the modelling effect having created mass behavioural change and a home renovation obsessed Australia. Moreover, it’s sparked a pop-culture phenomenon that has seen open house inspections rival rock concerts for attendance numbers. In addressing the key drivers to this popularity, Julian – the man responsible for splashbacks – will also discuss his predictions for the future of content, how it can be made more engaging and the ways in which it can surpass entertainment and get people involved. Recognising the fragmentation of traditional broadcast media, Julian will offer a unique perspective into why shows like The Block remain so unanimously loved and how they can ultimately influence large scale shifts in behaviour. Julian has worked as a television producer for 30 years starting in 1988 on Beyond 2000. His background is in investigative journalism and he was a senior producer at 60 Minutes for a decade before moving into reality television as co-creator of The Block in 2003. He has worked for all three commercial networks and been Executive Producer of 14 series of The Block winning 5 Logie awards along the way. Working alongside David Barbour, he is a co-creator of several successful formats both in Australia and the US. Julian is also the founder of e-commerce site theblockshop.com.au, charity app shout and a founding investor in influencer marketing app tribe digital. Adam Ferrier is a consumer psychologist and the co-founder of Thinkerbell an agency that fuses together marketing sciences and hard-core creativity – or as they like to put it – ‘Measured Magic’. He is one of Australia’s foremost creative strategists, and author of ‘The Advertising Effect: How to change behaviour, (now available in 3 languages). Adam is also the co-founder of MSIX (Marketing Sciences Ideas Xchange), and sits on the boards of Tribe and Good Thnx (a social influence and social giving company respectively). In more random news Adam is a weekly guest on Australian national TV shows Sunrise and Your Money, and regular panellist on others such as Gruen and The Project. Many years ago Adam was also the state under 12 Chess Champion of Western Australia. 9Powered, and Married at First Sight experts will provide an insightful look into modern-day love, and how dating and relationship shows have become a reflection of our Australian culture, driving the conversation with millions of Aussies every night. This detailed session is underpinned by a qualitative and quantitative study conducted by Nine, and dissects the science behind why we love to watch love on our screens and how marketers can play a more credible role in this content genre. Melissa Mullins, director of strategy of Nine’s client solutions division 9Powered, bridges the gap between clients and content creators – helping brands overcome marketing challenges harnessing the power of Nine’s content. Trisha has worked as a training consultant, psycho-synthesis and Clinical neuro-psychotherapist and executive coach for over twenty-five years. She has a background in developmental psychology and the media and has completed a PhD (Neuroscience) on the brain and relationship. Shelly Horton’s high school guidance counsellor said she was too opinionated and warned her to tone it down. She ignored him and turned it into a career. Now Shelly’s opinion can be heard nationally a number of times each week with regular segments on Channel 9’s Today, Today Extra and Weekend Today, and online at 9honey.com.au. Curated & presented by Nine Entertainment Co. This short session will set the scene for a more robust debate on the merits of advertising pre-testing: should you do it, and how to do it. The talk will be a 20 minute overview on what science tells us are the strongest methods for pre-testing creative work. Advertising Pre-Testing – Should I, and if so, How? There has been a lot written about advertising pre-testing, and a lot of confusion as to its merits. This panel will explore both questions of ‘should I do it?’ (does it add value to the creative process? ), and if so, which methodologies are the most reliable and valid (and which are little more than snake oil). The forthright panel will include both those for and against. Daren leads the creative solutions business for Kantar’s Insights Division, and thought leadership in the communications space. Daren’s work focuses on creative best practice. He speaks around the world about building meaningfully different brands with great, effective content. He has judged the Effies and B&T awards and has spoken at Cannes Lions. Daren was educated at the University of Reading (UK) and l’Institut d’Etudes Commerciales Supérieures Strasbourg (France). He is a lapsed long-distance runner, but will get his running shoes out again, one day. Susan Coghill joined Tourism Australia in February 2017, bringing 20 years of experience in creative and strategic brand development to the role of General Manager of Creative, Content and Campaigns, based in Sydney. In this role Susan has responsibility for the delivery of creative assets for Tourism Australia’s global campaigns to attract more high value travellers to Australia. Before devoting her time to the travel and tourism industry and leading the creative behind the latest Dundee campaign, Susan helped change the face of many blue-chip brands. Working in an agency environment, Susan gained a wealth of experience with high profile clients such as Qantas, News Corp and Westpac. She was also one of the handful of people lucky enough to have worked on the single most referenced campaign in the industry ‘Think different’ by Apple. Susan’s extensive creative agency experience has seen her develop successful brands, that enable businesses to not only excel but also help to shape their culture from the inside. Her switch to working in a client-side role has funded her passion to drive results from the inside and continue to build Australia’s tourism brand internationally. With one foot in academia and one in market research, Cassie brings a unique perspective that comes from the combination of academic theory and real-world practice. She has a PhD in Psychology and she completed her Post Doc at Stanford University’s Graduate School of Business (where she also ran the Behavioural Lab). She is a Senior Lecturer in Psychology at the University of Melbourne and owns boutique research consultancy Empirica Research. One of her major passions in research is taking the science of attitude and behaviour change and combining it with her love of advertising and communications (yes, she really loves it – she used to get in trouble as a kid for channel surfing to watch the ads). Cassie heads up the Master of Applied Psychology at the University of Melbourne – a new course that is creating the next generation of psychology graduates with a passion for real-world applications. Away from work, Cassie and her husband have three kids under three… and no sleep. Understanding the behavioural implications of the marketing message is no longer a ‘nice to have’ but a necessity for every modern business. This is the rule Arron Child lives by. He uses insight from neuromarketing (neuroscience, behavioural economics and psychology) to guide branding and marketing strategies. With this insight he has created compelling campaigns to grow brands into household names, most notably Airtasker’s ‘Like A Boss’ campaign and Microsoft’s ‘The Random Adventures of Brandon Generator’. Child will show marketers how to create work that is remembered by design, not chance, by blending the world of academia with practical application. He’ll also share neuromarketing principles and insights that have been utilised by companies big and small around the world. An internationally awarded marketer that has worked both client-side and agency-side on and for some of the biggest brands in the world, Child has received multiple accolades for his work including Marketing Society Young Marketer of the Year Finalist, Marketing Week Rising Star finalist and Next Generation: Power 100. He is also a Marketing Academy alumni. Brent Coker is author of “Going Viral” and presenter of the doco-info series “Virology”. He has a PhD in online consumer psychology and is developer of the bump algorithm that predicts the spread of memes and video ads. Coker’s research has appeared in the New York Times, Washington Post, and Scientific American, to name a few. He lives and works in Melbourne Australia (University of Melbourne), where in his spare time he enjoys cycling for fitness and motorcycling for fun. The problem with understanding the blockchain opportunity ahead is that most explanations use language that is foreign, leaving people more confused than before. This time, technologist and entrepreneur Jamie Skella brings you an easy entry into blockchain so that everyone can understand the vast possibilities that await. He’s just the person to do it, having already embraced distributed ledger technology to transform voting by creating an unhackable digital ballot box with it. There are many applications for blockchain technology beyond cryptocurrency – but what are they and why do they matter? Jamie will tell the story of Horizon State, discussing how disruption, risks and opportunities all await in a blockchain future where energy supply is being decentralised and finance is being disintermediated. No industry is immune: what if instead of users being the product, they owned their data in an entirely self-sovereign way, being paid for their attention? Technologist and entrepreneur Jamie Skella has spent 20 years in the design, building and advising of businesses across blockchain, esports, machine learning, and even future food. Formerly Executive Director at MiVote, Jamie is Co-Founder of Horizon State, a company securing votes and redesigning how societies collaboratively make decisions using distributed ledger technology. As competition for airtime in social media news feeds intensifies, brands will get their edge by using data and speed to beat the algorithms. Fly into ‘the danger zone’ with Australia’s leading youth publisher and content agency Junkee Media as they explore opportunities for brands to embrace the react-and-learn approach of publishers to grow their own loyal audiences. In this session, Tom Pitney and Raen Waghorn-Hughes will reveal the findings from their latest experiments which shape the way Junkee uses signals in their data to turn around quick, thumb-stopping creative that’s distributed across social media and parent company oOh! Media’s Digital Out Of Home network. They’ll highlight key learnings from their award winning publishing titles Punkee and Junkee, and illustrate how real-time learnings are being applied to Junkee Media’s agency brands, which include Qantas, Westpac and American Express. Tom is a content creator and publisher with a background in digital strategy and marketing. His unique mix of creativity, technical knowhow and commercial instinct has proven successful in building online channels and telling brand stories in an authentic way across Facebook, Snapchat, Instagram and editorial content. Pitney purchased former Fairfax youth publication TheVine in 2015 and tripled the website’s audience and social media reach in 18 months before Junkee Media acquired TheVine in 2016. Pitney is now the Managing Editor behind Junkee’s new Gen Z title, Punkee. He is analytics-obsessed, loves dreaming up forward-thinking ideas and putting them in to action to get results. Raen is an experienced media & marketing professional with 10+ years’ industry experience and advanced digital media skills across publisher and brand operations. With an approach that balances creativity, strategy, technical ability and style, Raen creates innovative solutions that deliver results for brands and audiences. All speakers will be on stage to answer questions from the audience. Where’s the Signal in Digital? Web advertising can be a dangerous mess of fraud, privacy issues and data breaches. But is it really just an industry-wide problem? Is the term just boring business-speak for a collective action problem no one wants to solve? Subtle and not-so subtle changes in how the web handles user data are making it possible to use it as a different kind of advertising medium, one that works better for carrying an economic ‘signal’. In this session Don Marti and Eaon Pritchard will argue that the concept of what-even-is-advertising has now been so twisted out of recognition the game is wide open for brands. Those that see the real opportunity in understanding that tracking protected users, beating fraud and reinventing the web as a signal-carrying ad medium will win. When nearly a whole industry is completely wrong about something, it means you can win by being the first to get it right. Eaon Pritchard is Head of Strategy at UM in Melbourne. A former Creative Director who switched to Planning his when he found out who Tessa Pollitt’s dad was. His first book ‘Where Did It All Go Wrong – Adventures at the Dunning Kruger Peak of Advertising’ came out in January of this year and is already fast becoming a cult classic among discerning ad types. Don Marti is Open Source Innovation Strategist at Mozilla in San Francisco. He is the former editor of Linux Journal and has spoken at Ogilvy Nudgestock and other events. Don has worked in software development, technical marketing, and media, and has served as President and Vice President of the Silicon Valley Linux Users Group. As the curating editor of ‘Eat Your Greens: Fact-Based Thinking to Improve Your Brand’s Health’ Wiemer Snijders is at the forefront of how marketing sciences can grow brands and businesses. Wiemer asked 35 of the world’s top marketing and communications practitioners to contribute to this very special book, published by the APG earlier this year. He will take us through his top seven highlights and read directly from some of the various authors more colourful words. When not authoring, Wiemer helps brands sell stuff, and build brands more effectively. Best conference I've attended in years. Excellent content. Not one dud speaker. 10 out of 10. I thought the mix of speakers was great, I really appreciated the mix of disciplines and angles on marketing science... the overall breadth of topics was really refreshing, and the short afternoon sessions were fantastic. What I loved about the MSIX conference was the feeling that there is still so much to discover. As we gain access to more data and get better at determining and applying its value, we have the opportunity to forge the future of what marketing science looks like. Mumbrella MSIX brings together a wide breadth of marketers involved in communications, data, innovation and more. The event offers companies the chance to get their branding in front of key decision makers across marketing departments. Raise your brand awareness to a highly targeted audience and speak with us about creating a bespoke sponsorship that fulfils your marketing objectives. 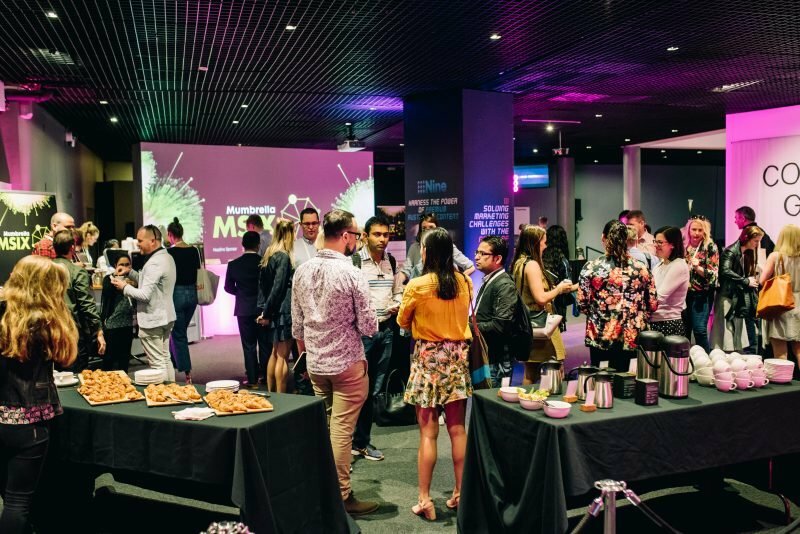 Now in its 6th year, Mumbrella MSIX welcomes diverse speakers from a range of industries to discuss ideas that are at the forefront of marketing thought and behaviour transformation. It’s a conference for everyone within research, marketing, media, advertising, data and communications and for those of us who want to take a bit more of an evidence-based approach and be better and more effective at what we do. This year’s conference will cover the key areas of mass behaviour change through broadcast media, the transforming landscape of interactivity and an analysis of current marketing thought.